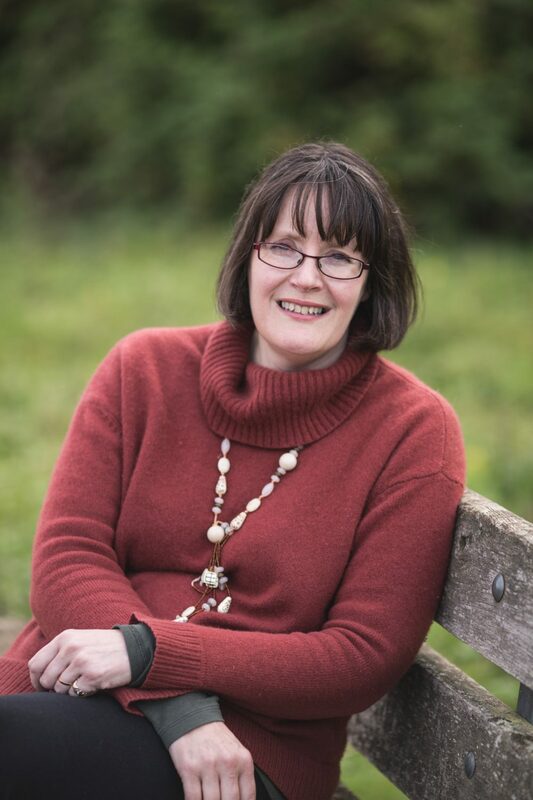 I’m delighted to welcome author Sarah Singleton to Desert Island Pony Books. Sarah is the author of Dark Storm, The Stranger, The Island, The Poison Garden, The Amethyst Child, Sacrifice, Heretic and Century, which won the Booktrust Teenage Prize. She’s also written the adult dark fantasy The Crow Maiden. I’m delighted that she’s agreed to break the drought of posts in this series. Many of us will absolutely understand her description of the way the stories she’s chosen inhabited her. From the lofty altitude of my fifties, looking back to the distant lowlands of my childhood in the 1970s, my memories of reading are astonishingly vivid. Although it might seem strange, the reading of those books, during primary school and early secondary school years, are probably the most intense reading experiences of my life, possibly some of the most intense experiences, full stop. I inhabited those stories. They inhabited me. I remember reading them, over and over again. I remember the scenes that rose up in my imagination and imprinted themselves on my memory; whole worlds that opened to admit me. 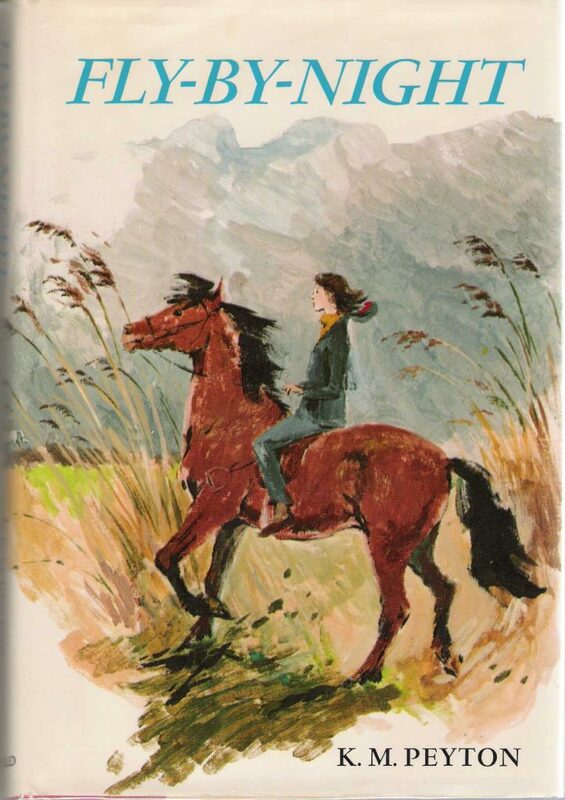 It is hard to pick five, and having written about Dream of Fair Horses (by Patricia Leitch) before, I will put it to one side, and select instead a representative few which illustrate how and why these early reading experiences were so powerful. 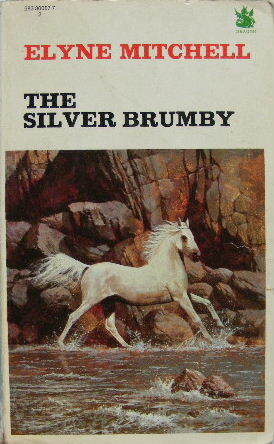 Let’s start with what must be a popular choice: The Silver Brumby by Elyne Mitchell. 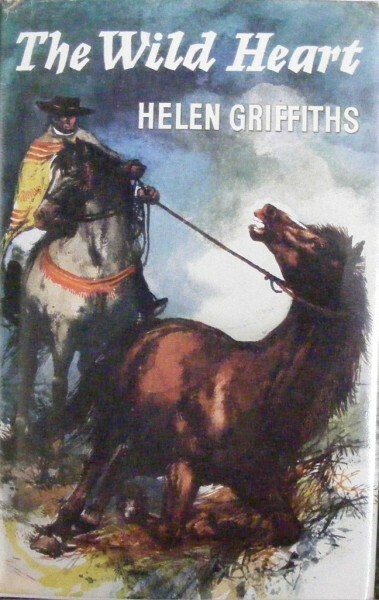 I was probably about eight or nine when I spied this book in the little book shop in Banbury – the green dragon edition with the pale stallion galloping against the brown, rocky backdrop, tail aloft, mane flying. I read the book and its sequels, many times. This story of a wild horse was also an immersion in a wild landscape. The forests and mountain tops, the rivers and valleys, its exotic wild animals, created a vividly described world of which Thowra was a part. He was a horse but more than a horse – like the hero of a fantasy novel, he was the lost son who claimed a kingdom. He was more than a horse because he was named for the wind, an elemental being – born in a storm, invisible in the snow, wise in the landscape beyond the knowing of his fellows. ‘We two are the brothers of the winds and storms,’ Thowra says. He transcends his individual self to embody the living landscape, magical and animistic – he is part of it, it is part of him. For a couple of years, in my imagination, I was Thowra. Roaming the countryside, alert to my surroundings, trying to hide my tracks, cantering through the fields and lanes, conjuring up the essence of the horse, proud and wild and free. Griffiths was one of my favourite authors, and I read her books voraciously and repeatedly. She doesn’t seem to have endured as Elyne Mitchell has, although the lives of wild horses are also part of her collection. Her books are decidedly unsentimental, and the world she portrays, often in South America, depicts poverty and suffering. Incidents can be cruel and brutal. A scene when men hunt wild horses to kill for their skins and tails is a long way from the pursuit of the silver brumbies. Once again it is hard to choose a favourite, but I will settle for The Wild Heart. It concerns a wild mare called La Bruja – the witch. She is ugly but tremendously fast. The novel tells her story, from birth in the wild, through encounters with men who try to catch her, to a final reckoning with Angel, a disabled orphan boy. Often Griffiths’ human heroes were poor children who suffered and strived to achieve their goals, but learned compassion and selflessness through their relationship with animals. Although eventually he wins the trust of this ferocious mare, no happy ending is possible. Angel has to decide whether it is La Bruja’s speed, or her freedom, which matters most. 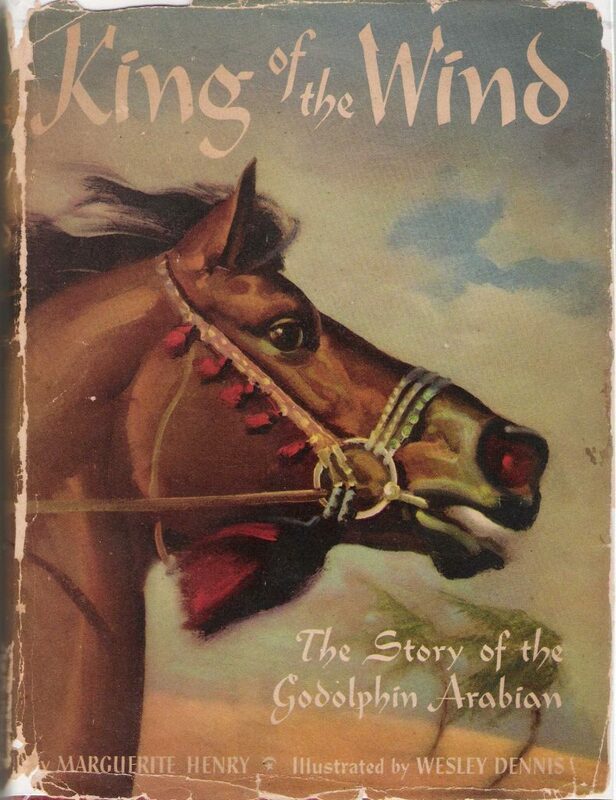 Moving from Australia and South America, to Morocco, we move to my favourite Marguerite Henry book, King of the Wind (though Palio comes a close second). The story of Sham and Agba is another iteration of the fantasy genre, with a horse as its lead. Sham is the disinherited prince, blessed with speed but blighted by a curse, who faces exile, humiliation and suffering before restoration to his rightful place as king, father of a new, royal dynasty. I loved the depiction of Morocco, the historical settings, and most of all, the mute young boy Agba, and the bond between him and his horse. 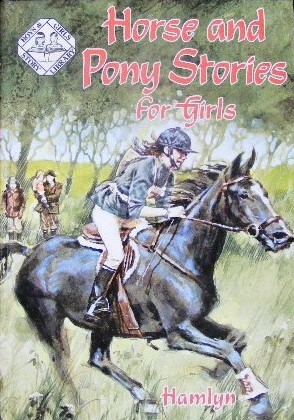 I read a great many of the girls and ponies books, like those by the Pullein-Thompsons, and I loved them. Yet in many ways, the stories they told belonged to a kind of Never Land in just the same way as the Silver Brumby books did. I found the tales of girls who went to boarding school, set in what seemed like a distant past, who had hacking jackets and jodhpurs, were not young people whose lives I related to in any real way. That didn’t spoil the joy of reading them of course – if I could imagine myself to be a silver stallion in the Australian mountains, I could surely identify with the similarly imaginary land of these pony boys and girls. But Fly-by-Night – and its wonderful sequel The Team – changed all that. Ruth Hollis lived on a modern housing estate, she watches television, she has a brother with a motorbike, her parents worry about the mortgage. In The Team she even has to worry about her period – the first time I had ever seen that mentioned in a pony book. It was a story about someone I might recognise as a real person in the world I knew, yet still containing all the magic ingredients of a girl’s horse fever, her love of her pony, and her journey to triumph. This is a novella in a collection called Horse and Pony Stories for Girls. It centres on a teenage girl called Christine Grayson, who lives with her hard-pressed mum on a farm. She has a horse called Jet, and the story follows her quest to train this unlikely prospect into a point-to-point winner, beating her well-heeled and well supported rival, Laura Carley. The journey also involves reconciliation with her father, who abandoned them years before. For years, in cross country races at school, Jet was my imaginary horse. Like me, he was small. One of the things I loved about this story was Christine’s imagination, and how the horse offered her a portal to a world of fantasy and adventure. On a horse you could be anyone, in this or another world. A cowboy, a knight, an explorer, an adventurer, without restrictions of gender. On a horse you can be alone in the countryside, far from home, in wild and beautiful places. On a horse you can explore and test yourself. On a horse, you can be strong and free. *Sarah wrote about Dream of Fair Horses in Heroines on Horseback.